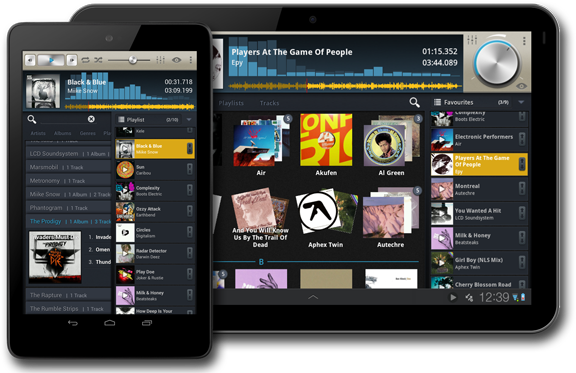 The music player for a smooth music listening experience on your tablet. Browse seamlessly through your music collection. Create playlists with ease and have full control over your music. The all-in-one-view interface takes full advantage of the larger tablet screens. Select! is optimized for innovative multi-touch control. Swipe through your music by cover art and organize it by drag & drop. Use the quick search with autocompletion to jump to an album or artist. Or use the real-time detail search to find a particular track. Manage, arrange and play your music through playlists. Always know what will play next. The unique waveform display serves as a precise seekbar. 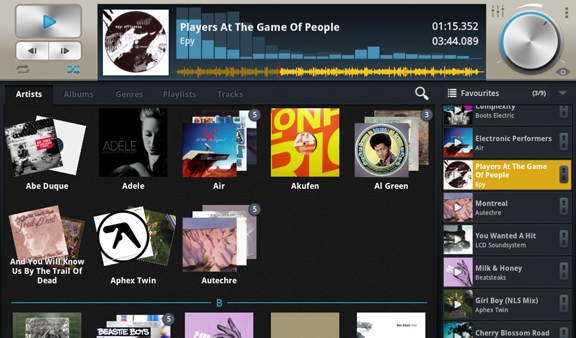 See what’s playing with the graphic equalizer or use the full screen visualization of your music. Help us to improve Select! even further and send your ideas, feature requests and bug reports to select@mikrosonic.com.